Tokyo: Methane emissions from coal mining in China have continued to rise despite tough legislation and ambitious government targets, a new study based on satellite data said Wednesday. The news is likely to fuel concerns that major emitters like China are failing to meet targets intended to prevent nightmare climate change scenarios. "China's methane regulations have not had a detectable impact on the country's methane emissions," the study's first author Scot Miller told AFP. 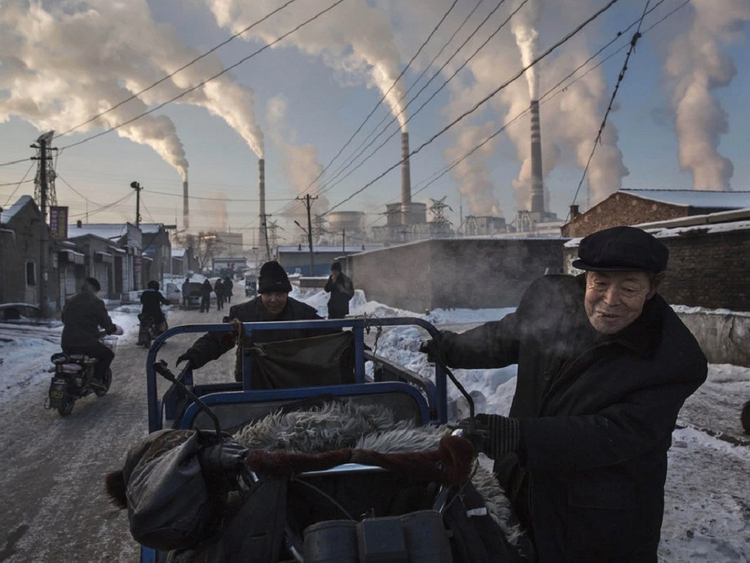 "China has been able to 'talk the talk' so to speak in terms of setting emissions reduction policies, but we found that the country has not yet been able to 'walk the walk'," added Miller, assistant professor of environmental health and engineering at Johns Hopkins University. The research used data gathered by a Japanese satellite that monitors greenhouse gases, and looked at measurements from 2010-2015, the most recent information available when the study began two years ago. It found that emissions continued to grow in line with pre-2010 trends even after a raft of new regulations came into place. "We estimate that emissions in 2015 are 50 per cent higher than in 2000," Miller said. The increase in China's emissions over the 15-year period was comparable "to the total annual emissions from a country like Russia or Brazil," he added. Methane is considered the second most important greenhouse gas after carbon dioxide. Like CO2, it traps the sun's heat, warming the atmosphere, but methane does so 28 times more efficiently than carbon dioxide. While methane can be naturally released, and absorbed, by the earth, emissions of the gas have skyrocketed along with industrialisation and a growing human population. It occurs naturally in seams of coal, and is released when the resource is mined. By some estimates, China is the world's largest emitter of methane, with the coal sector accounting for about a third of its output. The country is the world's biggest polluter, but also its biggest investor in renewable energy and has repeatedly vowed to reduce its greenhouse gas emissions. From 2006, operators in China were required to use or burn off all methane from coal mines, and legislation provided financial incentives to encourage use of the gas to generate electricity. But the study published on Wednesday in the Nature Communications journal said methane emissions "continue to increase following a business-as-usual scenario". There are other industries that produce methane, including rice farming and beef production. But the researchers found the largest increases in methane emissions were from regions with lots of coal production. And neither rice nor beef production increased significantly in China over the period studied, while coal production expanded. The researchers pointed to existing studies from the US Environmental Protection Agency and the International Energy Agency that could explain why the regulatory effort in China appears to have failed. Part of the problem could be poor infrastructure, which makes it hard to transport natural gas, as well as an underdeveloped market for the product. Coal mines in China also tend to be deeper than in other countries, and the technology available to remove methane from them often results in a poor quality product. Local electricity providers also appear to have been reluctant to accept power generated by coal mine methane, in part because its production fluctuates unpredictably. And there is also some evidence that mine operators may be diluting drained gas because the law only requires them to dispose of it when it has a methane content over 30 per cent. One of Miller's students is now working on a follow-up study that will look at ways China can better implement its methane regulations, including using the gas to generate electricity or home heating. "China could both reduce its greenhouse gas emissions and reduce air pollution by using this methane in place of their current, much dirtier power plants," Miller said.